Now that everyone knows how well Neko Hooks keep bass buttoned up, you’d best stock up on ‘em while you still can. After leading pros relied on them to win top tournaments, including the 2018 Bassmaster Classic, VMC®’s hot hooks could get harder to find. The Neko Hook is “one of the most amazing pieces of tackle I’ve ever tried,” says Rapala Pro Ott Defoe. It’s a bold statement backed up by success. At the time DeFoe wrote that ringing endorsement on his blog, Neko Hooks had helped him to a top-10 finish in the 2016 Bassmaster Angler of the Year Race and helped fellow Rapala Pro Seth Feider to a 1st-place finish in the final Bassmaster Elite Series tournament of that season. 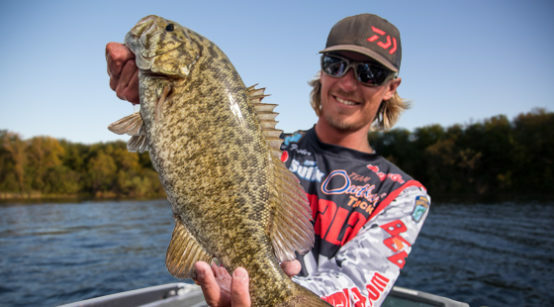 “I had such a good landing percentage on it, I decided to use it as my drop-shot hook for smallies,” Feider said following his win on Lake Mille Lacs, Minnesota’s famed smallmouth factory. His initial confidence in Neko Hooks came from Neko and wacky rigging with them. Since Feider’s win with a Neko Hook, fellow Rapala pro Brandon Palaniuk won a 2017 Bassmater Elite Series tournament and Alabama pro Jordan Lee won the 2018 Bassmaster Classic with fish caught on Neko Rigs armed with Weedless Neko Hooks. What gives the Weedless Neko Hook its name and function is a unique snag-guard made from two heavy-duty fluorocarbon bristles. DeFoe unofficially unveiled it in last year’s Bassmaster Classic, after he wacky-rigged a prototype of one to pull big bass out of woody, brushy heavy cover. Another benefit of the 50-pound-test fluorocarbon bristles that comprise the Weedless Neko Hook’s snag-guard is that, unlike wire, they are invisible fish. Neko Hooks and Weedless Neko Hooks feature a black-nickel finish, wide gap, 3-degree offset point, resin-closed eye and a forged, long shank. They’re available in four sizes: 2, 1, 1/0 and 2/0. 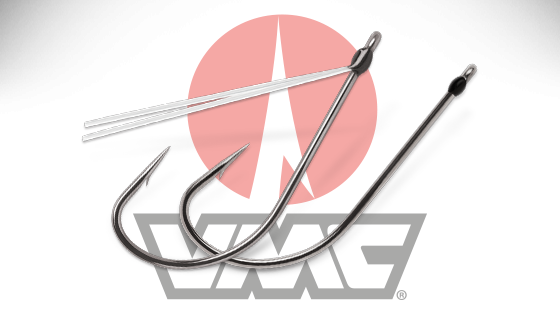 A modern take on a nail rig, a Neko Rig, comprises a VMC Neko Hook and a Neko Weight designed to embed in – and stay put in – one end of a soft-plastic stick worm. It will put bass in your boat now and into the summer, no matter where in the country you fish for ‘em. 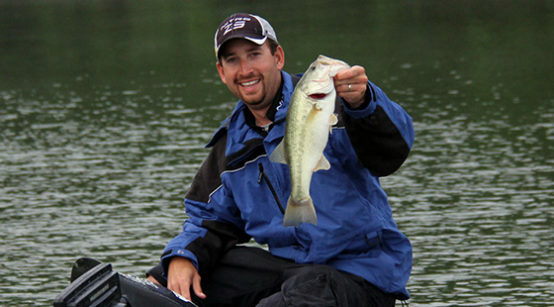 “This rig excels at catching bass that don’t want to bite anything else,” Feider says. Fish a Neko Rig wherever you would fish a traditional wacky rig or a shaky head. They excel especially around isolated pieces of cover like grass, docks and rocks. Around heavier cover, arm your Neko Rig with a Weedless Neko Hook. Although Neko Rigs are productive year-round, most anglers favor them in the post-spawn, spawn and summer. “For me, it really shines once the fish get offshore a little bit and grouped up,” Feider says. Neko Rig bites usually come on the initial fall. A semi-slack line is key. If your rig hits the bottom without getting bit, lift your rod tip and let it fall again. • Thread your worm through your O-ring with an O-ring tool. Don’t center the O-ring. An off-center balance point helps create the rig’s unique action. • Embed your Neko Weight into one end of your worm (if one end is thicker, use that end). The weighted end of the worm should be shorter than the other end; adjust your O-ring position accordingly. • Be sure the point of the hook is facing towards the weight when you first stick it through the bait. • Be sure that your hook point is exposed.